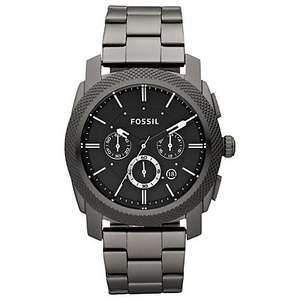 If I didn't already have this one and the same one in the 'gunmetal' grey, I'd be all over this! Heat added! Hi, What website is that? 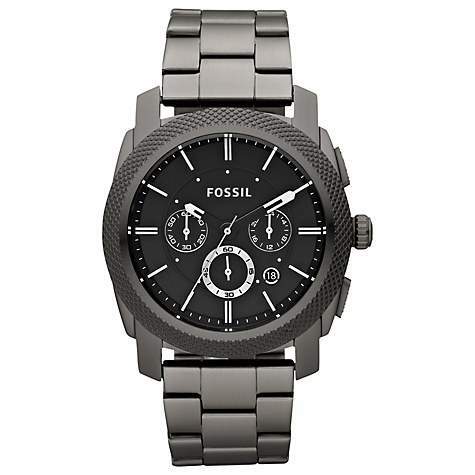 I've owned Fossil watches for many a years, until the time I needed help with something and used their UK cust service team. Now will never wear them again. Hope this looks ok in the flesh. Honestly though, not much point comparing to those prices. 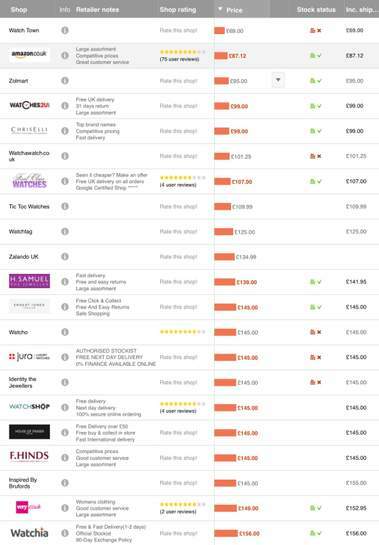 You might look at it and think wow John Lewis £145, Watchshop £145, H Samuel just a touch under that - Amazon only £66! In reality this has been sub £100 at Amazon for nearly 2 years now. A decent saving over it's typical price, nevertheless but everyone else is just mugging people blind. Wow, thanks for posting this deal vassy! I rarely purchase anything i see on HUKD but I'm gonna keep an eye on this. 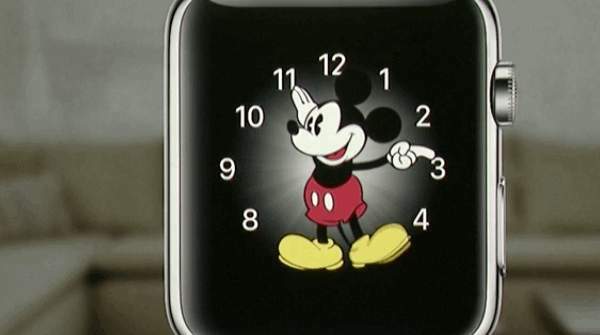 Probably will buy this watch some time soon. I already ordered tons of stuff online recently. 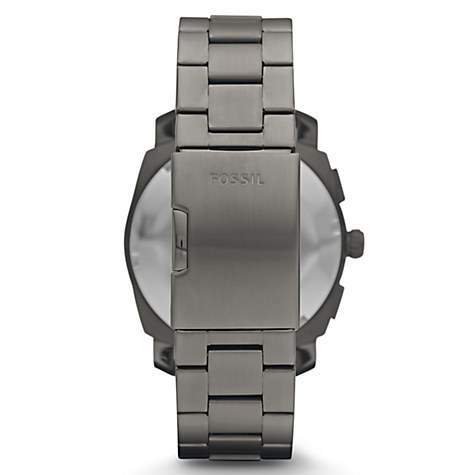 Anyone have a clue if the fossil smart watches will drop in price again? Bought. 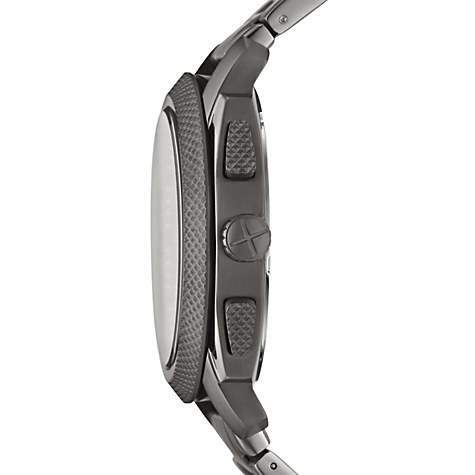 Been looking for a going out watch for a bit. Cheers! Good price. Lowest was £62.86 on Sep 04, 2014. Interesting I have had several. No issues with any until it came to one letting in water in a 2.5m deep swimming pool on holiday when it was supposed to be waterproof upto 100m. No quibble they sent me a catalogue of watches I could choose as a replacement and they supplied my choice free of charge. If your anywhere near Cheshire oaks they have a outlet shop there .Usual a discount on already reduced items . Yes, looks like this is it.